Susan creates watercolor paintings and collages inspired by nature. She lives on a farm in New York and by the water at the Jersey shore. "My art is about capturing the essence of the subject. I strive to transform the elements of design-line, color, shape,space- into a spiritual state, bringing awareness to the viewer." 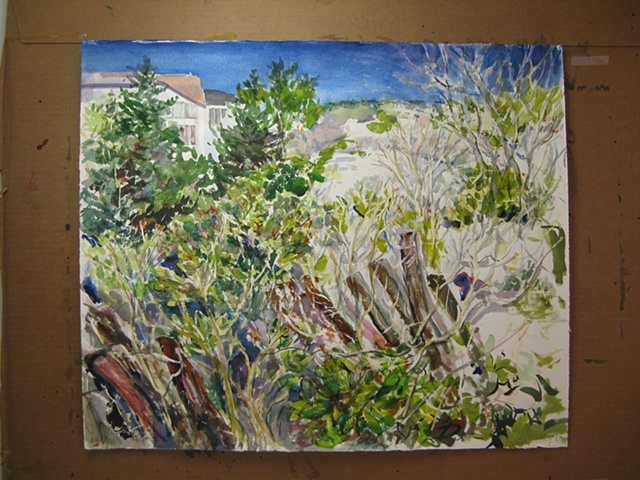 Susan will be demonstrating her plein air style. Her studio visit will surely delight.